As the Wonder Woman theme still latches onto the popularity of the 2017 Hollywood blockbuster, online gaming giants Playtech are stepping into the fray with their brilliant tribute to the adored heroine. 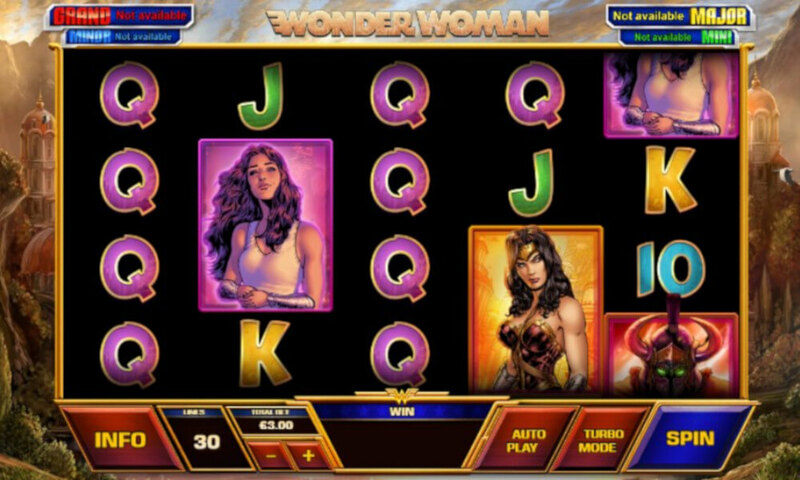 Wonder Woman slot is a branded game with 5 reels and 30 paylines, offering a myriad of intriguing special features and a potentially life-changing progressive jackpot. This Playtech pearl is a step away from the modern variant depicted in the latest movie and takes us back to the Wonder Woman pop culture origins. We are given a comic book presentation with action rolling in Paradise Island. Wonder Woman is bursting with life throughout and is a fantastic homage to the brand. It is a high variance slot game with an RTP of 95.34% and no less than six main game and bonus features. Sounds pretty exciting, doesn’t it? HOW TO PLAY Wonder Woman? Overlooking a brilliantly designed home of the strongest women on planet, the Playtech blockbuster Wonder Woman in played on a comic book grid consisting of 5 reels, 4 rows and 30 paylines. The Cheetah, Ares and Wonder Woman herself are the three most rewarding items in the game while the list of symbols also includes three more characters and a selection of classic playing card symbols from 10 to A. Symbols can appear partially stacked – filling two positions – of across the entire grid. The Wonder Woman logo is acting as Wild while the Cheetah and our Heroine are facing each other on a tile representing the Scatter. The game pays from left to right and will reward you for combinations of at least three matching symbols on a payline. Game controls are situated at the bottom part of the playing grid and offer you a chance to select the total bet value – going from as little as €0.15 up to a whopping €300. You can also select the AutoPlay option or activate the Turbo Mode. Wonder Woman slot game is a feature-packed product. It comes with no less than six different playing modes and that does not include the life-changing DC Super Heroes progressive jackpot. Let’s delve straight in and start from the base game, where three engaging features await. Wonder Woman Respins – our main character can appear fully stacked on reels 1 or 5 which is when a Wonder Woman Respin game is triggered. This particular feature will give you a complimentary spin during which you will only have Wonder Woman symbols present on the reels (and blanks). This feature lasts as long as more Wonder Woman symbols appear on the reels or when all tiles are filled with our hero. This feature can be activated both in the main game and the Wonder Woman Free Games we’ll talk more of further below. The Cheetah Feature – you ought to look out for Barbara – one of the three characters on the grid – who will transform all high denomination symbols into the Cheetah symbol when appearing on reels 1 and/or 5. Fire Wild Feature – once a Fire Wild symbol appears on the reels, it will turn all of the high-values symbols into Wilds and thus increase your winning potential. Off to the special features now, which offer plenty of additional amusement. Wonder Woman Free Games – during this feature you get to have one of the high value symbols stacked for each spin. The Cheetah Free Games – any winning combination containing a high-value symbol will turn into the Cheetah symbol for the remainder of the bonus. Should you land a high-win combo in the final spin, you will be given an extra free spin. Fire Wild Free Games – similar to the base game feature, Fire Wilds will be turning all high-value symbols into the Wilds. Fire Wild symbols can appear on reels 2, 3 and 4. Should you get an additional Scatter during each of the Free Games bonus, you are given 3 more extra spins, while two scatters will give you no less than 12 free games. DC Super Heroes Jackpot – is basically a four-level mystery progressive jackpot active across all Playtech Superhero games. The jackpot game is triggered at random. You get a field of 20 jackpot icons and should click to reveal one of four colours – corresponding to individual types of the jackpot. In order to activate the Mini jackpot, you need to find two green symbols. Three blue ones will activate the Minor jackpot, whereas you need four yellow tiles in order to get the Major jackpot. Ultimately, five red tiles will grant you the biggest of them all – the Grand jackpot. 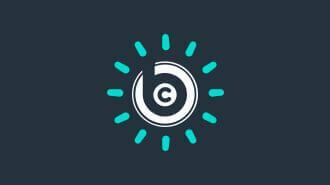 Branded games by definition entail the top-notch graphics and an elaborate design. We are glad to see Playtech upheld the standard with their Wonder Woman slot which is a proper hit. This 5 reel and 30 payline game is a fantastic tribute to the original concept of the brand and comic book fans will absolutely love it. This game comes with a vivid gameplay containing no less than six different features. Three of those are activated in the main game, while the remaining three will depend on the Scatter. Either way, all of these feature push the adrenaline high and keep you on the edge of your seat. If, by any chance, six features are not enough to keep you interested, make sure to stick around. Why? Because at any given time during this game, you could potentially trigger the DC Superhero Progressive Jackpot which can turn your life upside down in an instant. Players, we need your help with how we should to rank and rate these reviewed casino games. You can help us by rating this game, and if you really enjoyed playing Wonder Woman. You can also share it with your friends on Facebook, Twitter and via email. For all freeplay games, if your free credits run out, simply just refresh the page and your balance will be restored.